Thread: Group 24F Kirkland batteries back at Costco!! 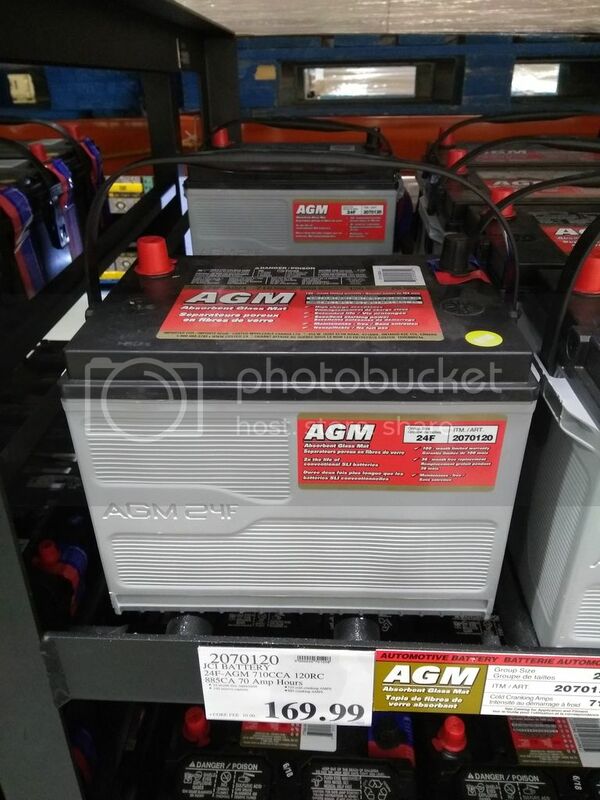 Re: Group 24F Kirkland batteries back at Costco!! Anyone seen these at the Wilson or Warden Costco lately? Still running my 24F without a hitch after 3 years! its time for the wifey's as well. Does this work on Gen 2's? EDIT: Looks like it does... Jimmy is booked... did any of you guys use baking soda water to clean the ends and grease? Last edited by Ogata; 11-03-2018 at 03:11 PM. Mechanic required to swap a battery? UPDATE: After about 3 years, my battery light suddenly turned on at a stop sign stereo was still on but fan was off. Restarted the car and all was well. Brought it in to Jimmy and he found the battery at -16 might have issues starting. Thank goodness he is near a Costco was able to get it swapped out and now on one made this year. Last edited by Ogata; 01-25-2019 at 02:57 PM.